In this third album, the enchanting and beautiful Leyla manages to capture moments of pure joy. She is the kind of musician that tells a story. A New-Yorker with Haitian roots, Leyla settled in the bayou of Louisiana to explore her Creole roots and to dig out and spread the message of social and environmental injustice. She really came into her own during those eight years spent in the New Orleans sunshine and has even abandoned her cello to embrace the clarinet, violin, piano and electric guitar. Now, the multi-instrumentalist is mixing it up more than ever, supported by a group for the very first time, King James & The Special Men. 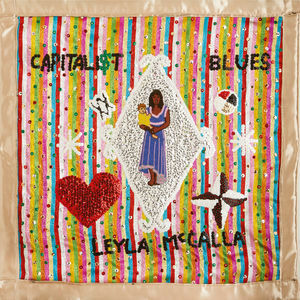 The retro folk of The Capitalist Blues dabbles in calypso (Mize Pa Dous), R&B (Me and My Baby) and Creole blues (Lavi Vye Neg) and Leyla’s vocals alternate seamlessly between Creole and English. A very well-arranged album that captures the leisurely lifestyle of the tropics.